I’ve been at Midwest Car Exchange for 20 years and I have seen a lot of beautiful vintage and collector cars come and go through our doors. In photographing the vehicles and writing the advertisements, I want to be as descriptive as possible to give the potential buyer a good idea of the quality of vehicle they’re looking at. The presentation of all the cars we represent is most important to me. We offer both in house and off site consignment, storage, appraisals and other services. I am proud to say we are a family owned and run business, NOT a chain or franchise, so you will always be working with a family member when you call or stop by our showroom. Client satisfaction is important to us! Eric has always had a passion for cars. Starting out at a young age playing with his model cars with his brother was a favorite past time, dreaming of the day when he could finally drive the real deal. His love for racing cars also took over when Eric and his younger brother Tim purchased a 96 SCCA World Challenge Neon, which they race this day, in the North American Road Racing Association. From starting out with his model toys to the real deal, Eric has a love which can never be broken with cars. In the 27 years we have been in business, we have continuously strived to carry the finest selection of classic, antique, muscle cars and special interest vehicles. We offer a number of services for the collector car enthusiast. Call us with any questions – we are of service to you! Tim is the youngest of two sons to Donna and Mark. 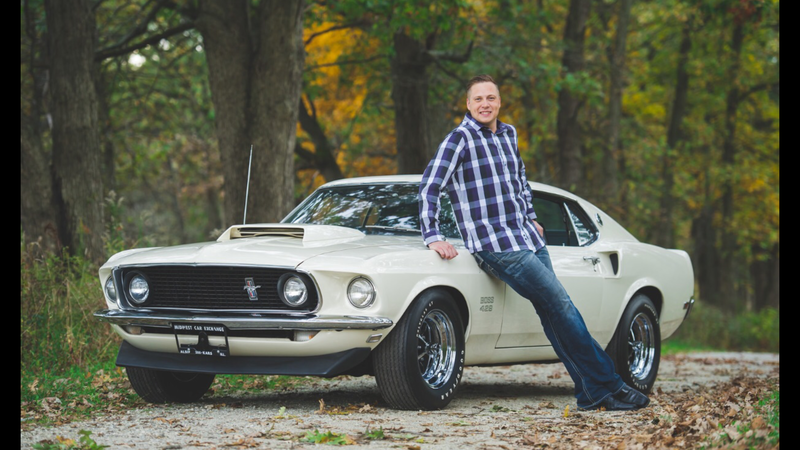 He lives Classic & Muscle Cars, our Sales Manager since 2006 and all around GEAR HEAD! Tim has and extensive knowledge of most everything with an engine from the 20's to current late model Supercars. An avid racecar enthusiast that can't get enough speed! He is eager to help with any questions that you may have about or inventory and our operation here at Midwest Car Exchange.